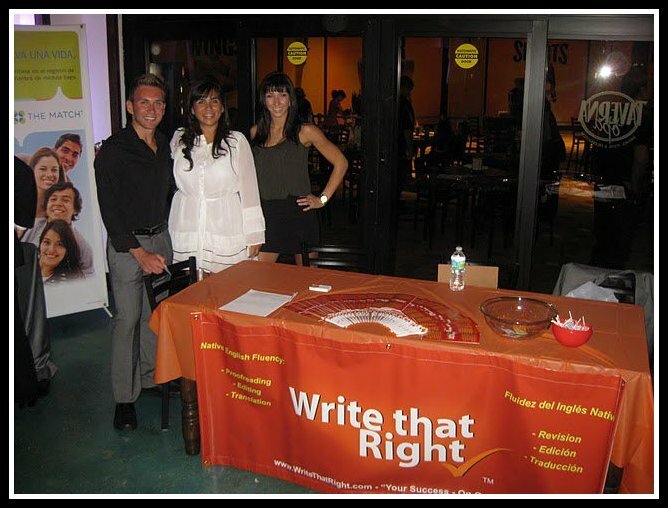 Write that Right is a North American based Language Solutions Service headquartered in Miami, FL whose mission is to help you share your message with the world in the most effective way possible. We employ only university educated and experienced editors, writers and translators who exclusively work within English and their native languages. The entire team at Write that Right is dedicated to providing quality proofreading, editing, writing, translations and consultation for our clients. We will assign your project to a member of our team with special knowledge or expertise in your particular field. What also makes us special is our focus on the localization of any content you submit to us. This means that unless a direct translation is completely appropriate and accurate for your audience, we will craft your work into the local and industry related lingo used by those who will be interacting with your content, helping to boost confidence, readers and sales conversions. Confidentiality is one of our utmost concerns and we vow to keep your submissions positively secure. While communication technology has evolved exponentially in recent years, the written word is still one of the most important methods of how we connect to one another. Even as we put down our pens, and turn on our webcams, writing skills remain of paramount importance. We still use the written word to showcase and market our services, portray ourselves through social media and make deals happen, and anyone who knows how to write well will attest to the fact that – not all words are created equal! Therefore, fluently presenting our image correctly in whatever language we choose is a crucial component of being competitive in today’s globalized market, and that’s just what were here to help you do!